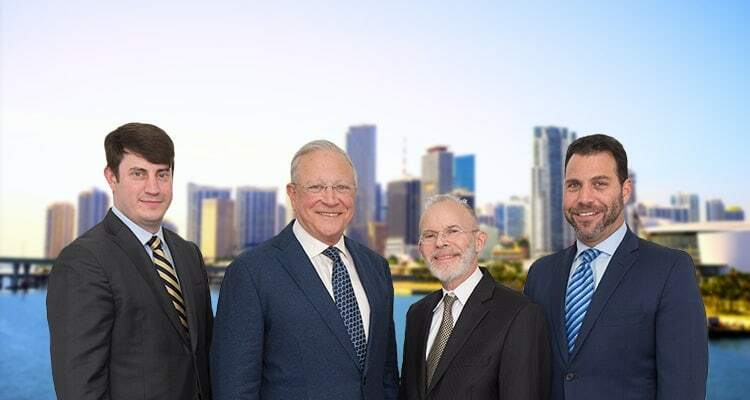 Miami Public Housing Crime Victims | Florida Injury Lawyers Gerson & Schwartz, P.A. Miami’s public housing program is federally funded by the U.S. Department of Housing and Urban Development (HUD). Miami-Dade Public Housing and Community Development oversees more than 9,500 units spread out across 113 developments. These units are intended to home certain members of the community that face severe disadvantage, such as the elderly, those with disabilities, and those living in extreme poverty. PHCD also manages mixed-housing developments in which low-income households are charged reduced rent. Public housing is an important tool ensure individuals and families are not forced into homelessness. Unfortunately, public housing areas around the country have become known for the level of crime that takes place there. Criminals make these areas less safe for people who simply want to build themselves a happy and healthy life. In certain cases, offenders cause residents harm. If you or a loved one were injured at a public or low-income housing complex, do not hesitate to contact a Miami public housing crime victims’ attorney from Gerson & Schwartz P.A. We are highly experienced crime victims’ lawyers, and we will fight for you to receive the compensation you deserve for your injuries. We will also ensure you are connected with local services to help you move forward. Call us at (877) 475-2905 or contact us online to schedule a free consultation. All of these crimes and others can lead to a victim being physical and psychological hurt. These crimes can also harm bystanders who happen to be nearby at the time. This is particularly true during shootings, drive by shootings, home burglaries, and robberies of businesses. If you or your relative were injured during the commission of a crime, whether or not you were the direct target, please call a crime victim attorney for Miami public housing. We are here to explain your rights, lay out your legal options, and connect you with crime victim resources. Is the Landlord Liable for Your Injuries? Under Florida premises liability law, landlords must maintain their properties to a certain degree of safety. This legal requirement has a lot to do with the physical safety of the premises. Each unit must be in a livable condition. Yet this legal duty also encompasses security on the premises. In general, landlords are not responsible for crimes committed on their properties. However, there are exceptions. Landlords must protect against foreseeable crime. The security landlords must provide their tenants depends on the type and extent of crime in the area. In addition to locking doors and windows, which are a basic necessity, landlords may also be required to protect their tenants by having all doors into the building be locked, installing fences with locking gates, installing security cameras, installing additional and brighter lighting, and more. If you were hurt during a crime that you believe was reasonably foreseeable to the property owner, then you should speak with a Miami public housing crime victim lawyer at Gerson & Schwartz P.A. about your rights. If there is evidence that similar crimes regularly took place in your neighborhood, your landlord had been warned about this type of crime in the area, or the landlord’s security measures had been damaged, then this could be used to prove that your landlord is liable for your injuries sustained during the crime. To speak with a crime victim lawyer for Miami public housing, call Gerson & Schwartz P.A. at (305) 371-6000.